This week was the first anniversary of the premiere of Part 8 of Twin Peaks’ third season. Titled “Gotta Light?” the episode delves into the past of the world of the series, diving deep into the mythology of the creatures that haunt mankind from the woods around the titular small town. 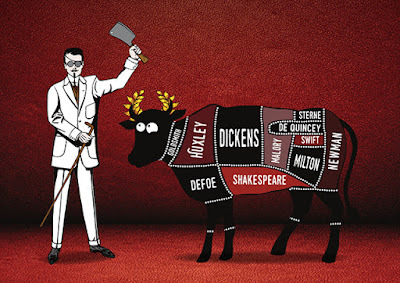 It also contains two memorable musical moments: a performance by Nine Inch Nails of their song “She’s Gone Away” and an eerie sequence of a small town being infested by woodsmen, scored by The Platters’ “My Prayer”. Twin Peaks, as ever, is a study in contrasts. The music – both songs and score – of the most recent season was a long way from the world of Angelo Badalamenti’s evocative compositions for the original series. The new episodes were a critique of nostalgia; viewers were denied much of what they wanted twenty-five years later. Badalamenti’s theme song was retained, but his work is only selectively used throughout season three. But with each moment of reprise, memories rush back. Music helps us to re-enter the world we left so long ago. 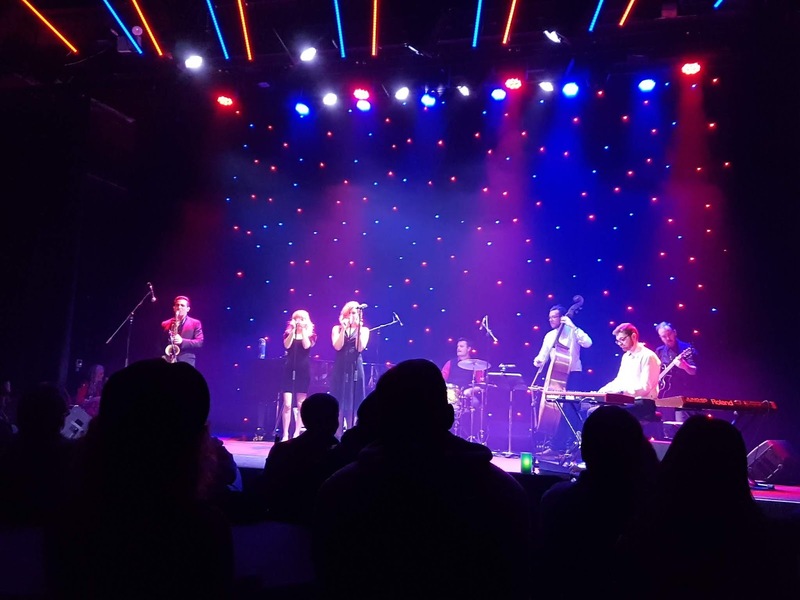 Fire Walk With Us: The Music of Twin Peaks, a two-night only event as part of the Melbourne Cabaret Festival, plays on that nostalgia, but with various twists and a large ever-changing seven-piece band. For an hour, the group showcases the songs and score of classic Twin Peaks and the prequel film, Fire Walk With Me. It begins with a fast version of the opening title theme for the film, music that haunts me when it’s deliberately slow. A selection of female vocalists (Tylea, Lucinda Shaw, Mia Goodwin) take it in turn to tackle Julee Cruise classics like “The World Spins,” “Rockin’ Back Inside My Heart” and “Falling”. There’s also some welcome gender revisionism when S.S. Sebastian tackles “Into the Night” and Lucinda Shaw sings “Under the Sycamore Trees”. Also welcome were a rocking version of “The Pink Room” and an odd but intriguing take on “Audrey’s Dance”. 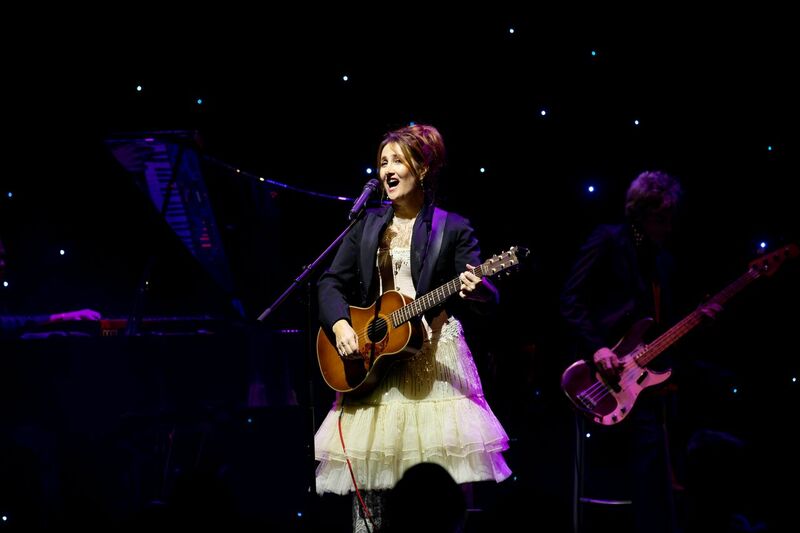 Trickier to get right was a performance of “Just You and I” (while from the original show, this performance felt more like a hat tip to the season three appearance) and an encore of “No Stars” – the only song on the set list from The Return. Badalamenti and Cruise’s styles are so particular that covers of these songs are often difficult for me to appreciate. The originals are so set in my head, variations have a hard time convincing me. But Fire Walk With Us didn’t try too hard to reinvent the wheel and with a big band and rich ambiance and some truly haunting vocals and arrangements, this was another highlight of the Cabaret Festival. Fire Walk With Us closed tonight. The genre of cabaret can be a lot of things, which What Doesn’t Kill You [blah blah] Stronger proves – it’s a lot of things all by itself. Focusing on a wide variety of real-life stories of people surviving near death experiences, the show is an historical, comedy, drama, documentary musical. It features an army of cats, man-eating hippos, the Titanic’s sister ship and to help us along the way: a series of survival tips throughout. After winning a couple of awards at Fringeworld in Perth, the team brings their perfectly-executed piece of cabaret to Melbourne. 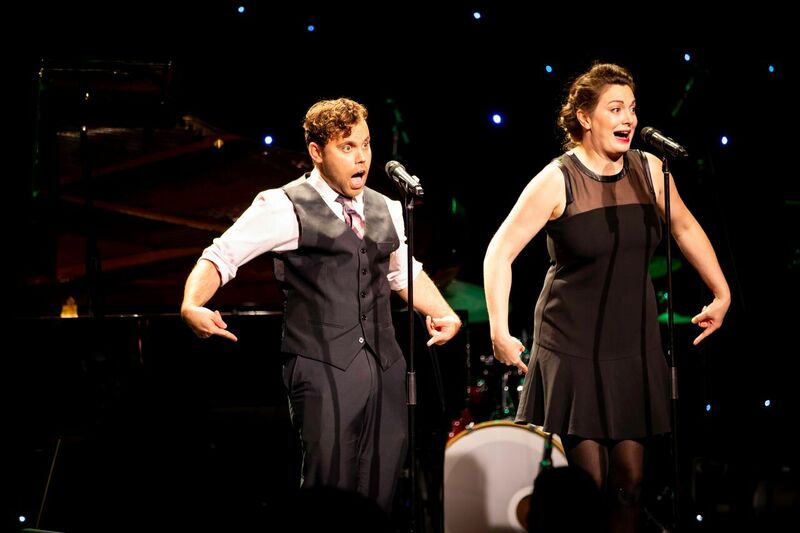 Performers Tyler Jacob Jones and Erin Hutchinson are charming and witty, transforming themselves into dozens of characters, all while belting out clever, insightful and toe-tapping tunes. Jones’ lyrics are very sharp, playing with audience expectations and telling some fascinating stories. Inside the one-hour show, which barrels headlong from song to song, there is also a fifteen-minute musical about a woman in a small rural American town who is hit by falling space debris. It’s a riotous story about fame and fortune and features an hilarious “I want” song from the meteorite itself. 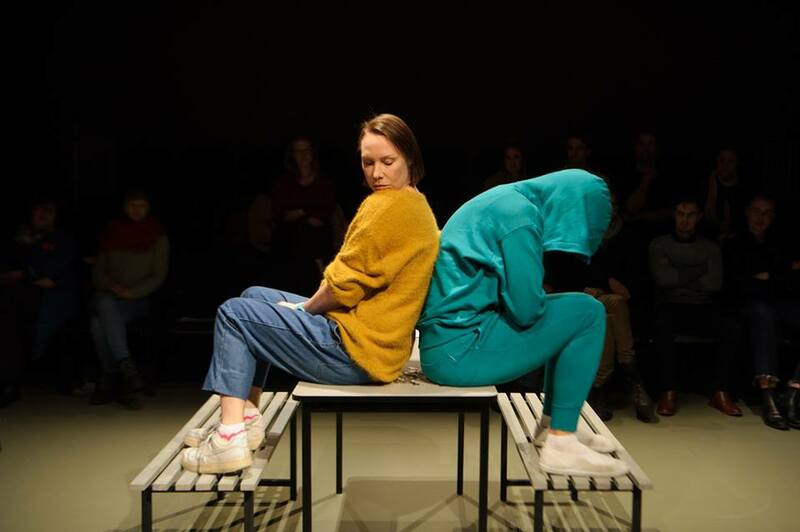 What Doesn’t Kill You [blah blah] Stronger is a wild but tightly-crafted piece of theatre. Get along for the survival tips alone. Because, as Tyler and Erin warn us, some people might not even make it out of Chapel Off Chapel alive. Second and final show tonight. It’s 1973 and Nancy Sinatra is filming a new television special; a night of classic hits and a touch of behind-the-scenes gossip. After her sell-out showcase of the music of Cilla Black, Danielle O’Malley dazzles at Chapel Off Chapel with Nancy Sinatra - You Only Live Twice. The audience at home will see a slick television experience, with all the songs they know and love, but those of us in the room get something more personal and candid. There’s a bit of fun talking about her parents, Frank and Nancy, and her brother Frank Jnr. She takes some pre-arranged audience questions about her hair style and her personal life. But even as we get to know her and her distaste for sponsor, RC Cola, what we’re here to hear is the songs. As with nearly all the shows at the Melbourne Cabaret Festival, Nancy Sinatra: You Only Live Twice, is a short taster of a season. Two shows only. Take your boots down to Chapel Off Chapel tonight. YOLO. 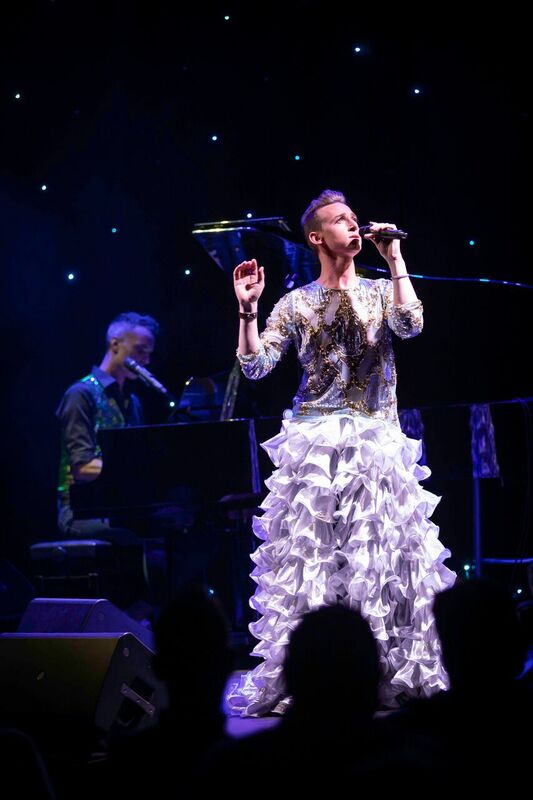 Now in its ninth year, the Melbourne Cabaret Festival opened last night in spectacular fashion at Chapel Off Chapel. Hosted by performer and artistic director Dolly Diamond, the opening night Gala saw the Chapel glitzed- and glammed-up for a sample of what is to come over the next two weeks. The gala showcased a variety of cabaret acts that form part of the program. Where else would you see selections from a show by an ex-Sale of the Century hostess and another show about how to hydrate when you have dysentery? It was that kind of wild and crazy night. Alyce Platt gave a taste of her show, Someone’s Daughter, a mix of pop songs, original music and stories from the high life of being a TV celebrity in the madness of the 1980s. Platt has a powerful voice and doesn’t seem to have aged a day since she left the gift shop in 1991. Max Riebl is a countertenor with expert vocal control, who is as comfortable with the arias of Handel, as he is with an operatic cover of Radiohead’s Karma Police. From He’s Every Woman, friends Justin Clausen and Jamie Burgess, embrace the big- voiced, big-haired divas of recent history. Clausen’s rendition of “River Deep, Mountain High” was electric. Perth duo Erin Hutchinson and Tyler Jacob Jones welcomed us to a world of stories about what people will do to survive in What Doesn’t Kill You [blah blah] Stronger. This pair showcased some amazing original songs with titles like “Army of Cats” and “Things That People Do To Survive,” which was delightfully subversive. Their show took some awards at Perth Fringe and got good notices at the Melbourne International Comedy Festival. Two other shows previewed at the Gala were odes to the songs of Brian Wilson (God Only Knows) and those of Nancy Sinatra (You Only Live Twice). Danielle O’Malley has a suitably powerful voice to recreate a live TV special by Sinatra and her renditions of “Bang Bang” and “These Boots Are Made For Walking” were an awesome way to bring the Gala to a close. The Festival includes a return season of Comma Sutra (a cabaret about punctuation), shows dedicated to Julie Andrews and Peter Allen, and a show that intrigues me in particular, Fire Walk With Us: The Music of Twin Peaks. The Festival runs at Chapel Off Chapel until July 1st. Check out the guide and schedule two or three shows in a night. If the Gala is anything to go by, this year will be the Festival’s best one yet. After six seasons, the Cold War spy drama The Americans finished its run in May. Set in the 1980s, the show is about a married pair of Russian deep-cover agents living in America. It found a way to delicately balance thrilling stories of espionage with captivating meditations on marriage and raising teenage children. 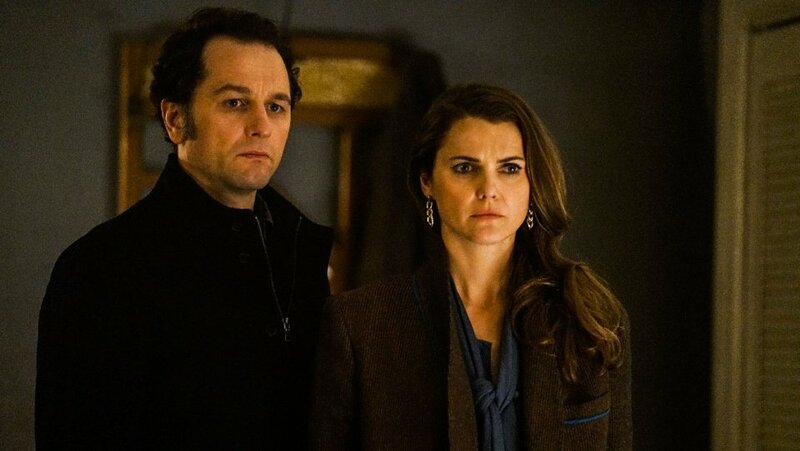 Philip and Elizabeth Jennings (played by real-life couple Matthew Rhys and Keri Russell) and their kids, Paige and Henry, live in the suburbs of Washington D.C. In the first episode, Stan Beeman, an FBI counterintelligence agent, moves in next door. How well does anyone know their neighbours? The premise is simple but the series got increasingly complex over the years, built on tensions both political and personal. As with any marriage, Philip and Elizabeth have their ups-and-downs at home and on the job. Living multiple lives takes its toll on a person and as the 80s wore on, it became harder for the couple to keep their secret or agree on the ongoing strategies for helping their homeland. In a recent interview on the Scriptnotes podcast, which focuses on screenwriting, one of the producers of The Americans – Stephen Schiff – said of the show: “All of us are spies in our own lives.” For the writers, that was the key theme that informed the ongoing writing of the series. The show is as much about Philip and Elizabeth’s marriage as it is about spycraft and espionage, but the series is concerned with the verisimilitude of both. The writers are as focused on the emotional character arcs as they are with recreating 80s technology or Styrofoam containers from McDonalds. “Spies in our own lives” speaks to the idea that we often conceal things we don’t want other people to know about us, and the idea we might dig around trying to uncover truths about other people. Schiff goes on to say – "Another thing about a spy is that a spy has a cover. And maybe many covers as our spies do. And you're presenting that cover to the world... And I think something that we really try to feel in our show is what's it like to be inside the cover." Week to week on the series, Philip and Elizabeth have goals to achieve, secrets to uncover and people to watch. But an equal part of their job is to wear many disguises, become other people and keep their dominant pseudonyms as parents and travel agents as unassuming as possible. The stress of the job and their lies wear on each other and their marriage and by the end of season three, it begins to impact their daughter Paige, as well. Other, lesser shows might have had FBI neighbour Stan closer to the truth about Philip and Elizabeth earlier on. They might have upped the stakes prematurely, putting Paige and Henry in danger more often. For a show that had visceral moments of shock and horror (a body disposal in early season three was particularly difficult to watch and listen to), it was admirably restrained for much of its run. Its fifth season was criticised for being too slow, but in hindsight it was taking its time setting up its sixth and final season. Creators Joel Fields & Joe Weisberg have talked about having an ending in mind since the end of season two. After the fourth season, the show was given two more years to plan and plot its finale. In a series focused on Russian spies pretending to be Americans, who have a kill or be-killed attitude, it was hard to see what a satisfying resolution might be. From the recent precedents of shows focused on anti-heroes that were outright villains, do you kill your protagonist (Breaking Bad), let him escape (Dexter) or leave the resolution ambiguous (The Sopranos)? 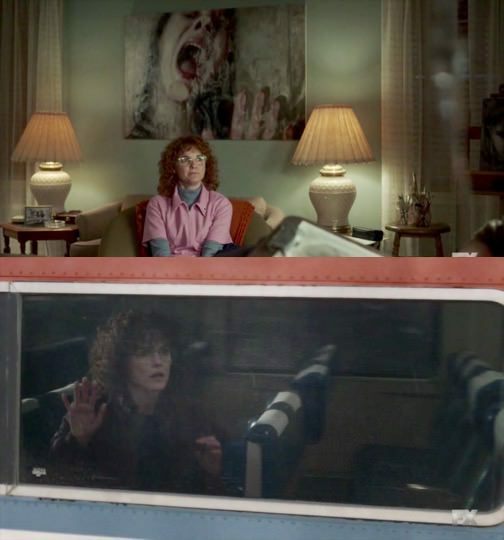 Fittingly, The Americans final season took some inspiration from Russian theatre and literature – twisting one and digging deep into the other. For much of the final season, Philip is out of the spy game, trying to make a legitimate go of his travel agency. Meanwhile, Elizabeth is effectively doing the work of both of them, taking bigger risks, striking out more often and getting worn down by exhaustion and conflicts within the KGB. In the first episode of year six, Elizabeth is given a cyanide capsule hidden in a necklace she is to wear. The missions she is sent on become increasingly dangerous and the pill hangs around her neck as a portent of doom. It’s as clear a case of Chekhov’s gun as you can get; it’s placed on the wall in episode one and we’re waiting for it to go off all year. Surprisingly, as Philip and Elizabeth plan to flee the country in the final episode, the couple cast off the fake passports and rings of their American life – and Elizabeth drops the capsule and the necklace into a hole in the ground. The gun never goes off. But it’s end game now. The pair have decided to leave Henry behind, hoping he is able to remain safely in America, and flee to Russia with Paige. Stan has discovered their true identities, but he’s a broken man and can’t bring himself to shoot them in cold blood. Besides, Philip drops one more bombshell before he leaves, Stan’s girlfriend might be a Russian agent, too. There’s a saying I’ve heard, related to theatre, but could equally apply to Russian literature: in Shakespearean tragedies, everyone dies; in Russian tragedies, everyone lives. The plays of Anton Chekhov are often about Russian upper-classes struggling with their sense of a changing world. They’re bleak in the way the final scenes of The Americans are – a feeling of desolation and isolation hang over the character’s lives. And while Chekhovian characters are worlds away from Philip and Elizabeth Jennings, the tragedy is they must live with themselves and the consequences of their actions. Only a few episodes before the finale, I pictured the ending of the series much differently. These characters have committed murder in the name of their country and while Philip had tried to extricate himself from that life, Elizabeth was plunging deeper and deeper inside. For her, any disloyalty against the KGB was traitorous; there was no sense she would want to embrace an American lifestyle. I had imagined a showdown between the couple. I had imagined a gunfight with Stan. And while the show often undercut my expectations, after six years of build-up, it wouldn’t have surprised me for this show to end in a cathartic bloodbath. But as with the tragedies of Chekhov, the damnation for Philip and Elizabeth is they flee to Russia and must live – their children left behind in America. In a tense scene late in the episode called “START” (named after the Strategic Arms Reduction Treaty), the Jennings are subjected to passport checks on a train crossing the Canadian border. Philip and Elizabeth aren’t discovered, but as the strains of U2’s “With or Without You” rise, Paige is seen alone on the platform – having chosen to leave the train, perhaps hoping to reconnect with her brother. It’s a devastating moment for both her parents and Elizabeth’s façade cracks. Have we ever seen tears in her eyes before? The long final sequence has the couple travelling through frozen wastelands of Eastern Europe, eventually being met by a KGB agent who is on their side, transporting them back to Moscow. The rock music of the west is left behind and the sounds of mournful string instruments score their return to a place that they fought for over many years as The Americans. Philip and Elizabeth are no longer deep-cover agents in America but they will spend the rest of their lives digging for clues in their own pasts, hoping they raised their kids right, forever spies in their own lives. In American Song, staged by Red Stitch in 2017, Johanna Murray-Smith explored gun violence in America and a father trying to come to terms with the actions of his son. It was a clear, probing insight into tragedy, guilt and the aftermath of both. Murray-Smith’s Fury covers similar territory in a milieu the writer is more familiar with – the middle-class Australian suburban home. And it feels like the script is treading water. Patrick and Alice’s son, Joe, has been caught defacing a mosque. What have they done to let Joe think this is acceptable? Or, more tellingly, what have they done to deserve this? Their first instinct, which seems natural, is to blame Ethan, the other boy that was with Joe on the night of the incident. Ethan is from a working class family and is only at private school on a scholarship. Ethan’s parents, Annie and Warren, are rough around the edges; well, to be clear, they’re racists and it’s easy to see where their kid might have picked up some bad behaviour. Joe, though, does himself no favours, ranting like a right-wing shock jock about Muslims and jihad. And soon it becomes clear that if Ethan is not to blame; maybe Patrick and Alice should turn the spotlight on themselves. Fury takes on a lot of interesting ideas without really exploring them in much depth. What is the role of in the internet in all of this? How does the media feed into this paranoia? What more could the parents have done in this situation? Much of the drama revolves around Patrick and Alice’s white liberal guilt, bringing up long-simmering tensions about their marriage and who sacrificed the most for each other’s careers. To take a dramatic situation like a hate crime and turn it into a kitchen sink melodrama is what Murray-Smith is known for. Directors Brett Cousins and Ella Caldwell seem more interested in giving their actors free reign rather than interrogating the text. The play itself seems dated; arguments like this feel like they might have been cutting edge a decade or more ago. This is not to say the play is not relevant, but is it damning white liberal guilt or is it praising it? Designer Chloe Greaves gives us an awkward revolving curtain around naturalistic set pieces; each scene change is a mix of blackout and the curtain dragged by a stagehand. Sean Rees-Wemyss as Joe is wonderful as a privileged teenage boy, a character who unfortunately only has two dimensions. His relationship with his teacher (played by Dushan Philips) is spiky and their dynamic is the richest on stage; you never know quite where things will end up in their scenes. Danielle Carter’s Alice has an early scene in the show where she describes a woman’s righteous fury in a patriarchal world and we get little further insight into this idea. Carter’s performance is mostly played at various levels of shouting, which Joe Petruzzi’s Patrick tries to be the calm rational one. There’s another moment near the start of Fury where Alice physically lashes out at Joe. It upends the repetitious staccato dialogue of the show to that point and suggested things might spiral away from the strictly cerebral text it had been. But no such luck. Fury is on at Red Stitch until July 1. A vending machine stands sentinel in the prison yard. It says it’s out of order, but Egg explains to her sister Tilly the sign is there so they don’t have to refill it. It looks broken but it still works. Tilly is visiting Egg for the first time in many years, so long estranged that Egg doesn’t even know their mother has died. Their meeting is tense to begin with; Tilly speaking for Egg as she stands silently regarding this woman who has been gone from her life for so long. Tilly comes bearing two letters that their late mother has written to them. The only person who has read the letters is the prison guard who checked them on Tilly’s way in. Neither sister is in a hurry to read them, both certain they know what she has said and scared they didn’t really know their mother at all. Olivia Satchell’s play My Sister Feather is a deeply searching two-hander that explores the dark recesses of memory and the fraught nature of fractured familial relationship. Emily Tomlins and Belinda McClory are brilliant as Egg and Tilly, both as reserved adults and uninhibited children. One minute they regard each other with years of suspicion between them and the next they are sitting on a table pretending to be “The Owl and the Pussycat,” singing the poem together. The games they played and lollies they ate and books they read were evocative of a childhood I recognised, making the broken adult relationship in the cold, sterile prison heartrending. James Lew’s set is appropriately minimalist, but with deft lighting changes by Jason Crick, the young sisters can make whole new worlds from a table, chairs and a rubbish bin. Tom Backhaus’ sound design is rich and nourishing in moments of reflection and harsh and alarming in the present day. Satchell is both writer and director and her work in both roles is impressive; the writing is sharp and clear and her directorial instincts allow the work to sing. The vending machine stands sentinel. A camera watches the two sisters. The audience stares at them from both sides. The relationship of Tilly and Egg looks broken but it still works. My Sister Feather is on at La Mama Courthouse until June 10. 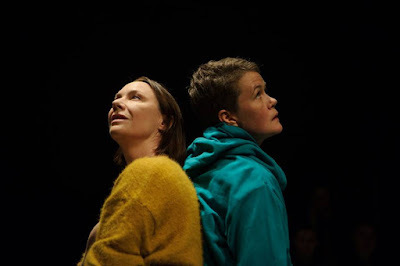 La Mama is seeking support on two fronts at the moment – fundraising for accessibility and to help stage upcoming works while they wait for the Faraday theatre to be rebuilt.